I strongly believe it is a great time to own your own office. 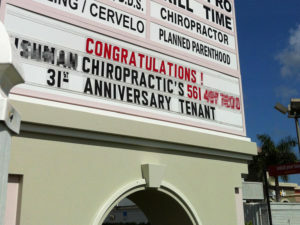 Is the landlord below congratulating his tenant or congratulating himself? Interest rates are still low, SBA financing is available for up to 100% of the purchase price, prices remain below their pre-recession highs, and real estate will always be a great investment vehicle. I also have a great 17,958 sf office condo divisible to 7,032 and 10,926 sf available in Boca Raton. Was Leasing Their Best Option? Over the past couple of years, I have put together a series of articles on the advantages of owning your own office, whether as a condominium or a free-standing facility. My three-part series includes parts 1,2 and 4. I explain that in part 4. I’m also always interested in your comments. Stop Paying Tax – Legally!